Held each August in an intimate setting nestling on the Powys/Herefordshire border, the Presteigne Festival has become a focal point for those seeking musical nourishment and artistic discovery in the beautiful surroundings of the Welsh Marches. With a truly forward looking commissioning policy, the organisation works closely with composers and artists to create and curate inspiring programmes and events for an ever-widening Festival audience and to bring experience broadening opportunities to its host community. The Presteigne Festival’s six music-filled days span the August Bank Holiday period. 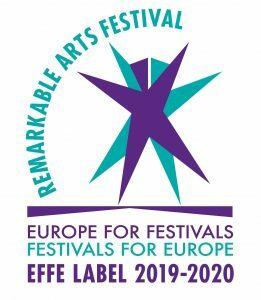 Established over thirty years ago, the Festival has a long tradition of supporting young artists and for presenting a fresh and individually stylised mix of contemporary works carefully balanced with twentieth century classics and featuring a wide range of music from the standard repertoire.